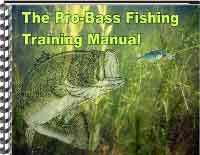 The Pro-Bass Fishing Training Manual is the Insiders Guide To Bass Fishing Tips & Techniques Known to a Select Group of Highly Effective Bass Fisherman. Learn these 6 secrets (and more!) that all pro bass fisherman use to out fish their competitors. How the Pros scout for Bass and map productive locations that produce fish. How the Pros use different tactics for each season to allow them to fish all season long. How the Pros understand Bass behavior and how it relates to the environment which leads to better strikes. How the Pros adapt and fish the changing conditions. How the Pros establish a working pattern to use in specific situations. How the Pros know when and how to use each type and color of lure for the best results. Get Your Pro-Bass Fishing Training Manual plus 6 Amazing Bonuses now!! Sprinkle fish with lemon juice and season well, ahead of time, preferably overnight. Wilt onions, and bell pepper in margarine. Add tomato sauce and whole tomatoes and cook over medium heat for 45 minutes in uncovered pot. Add 2 cups cold water and seasoning to taste along with dash of Tabasco. Cook for 25 minutes over medium heat. Add wine and pour mixture over fish you have placed in a baking dish. Bake in 325 degree oven for 40 minutes. Baste several times. Sprinkle with parsley and onion tops and serve, garnishing with slices of lemon. Serves 6. Combine salt, pepper (as much or as little as you like) flour, and corn meal in the ziploc bag. Shake well. Place fillets in a bowl full of milk. Let sit for 1 to 2 minutes. Place fillets one at a time in ziploc and shake well. Place 2 fillets in a frying pan with the vegetable oil, and fry until golden brown. Serve and enjoy. Combine the first 5 ingredients in a blender; cover and process until smooth. Set mixture aside. Combine lemon juice and next 3 ingredients in a shallow dish, dip fillets in lemon juice mixture, and dredge in bread crumbs. Place on a baking sheet coated with cooking spray. Bake at 450oF for 7 minutes; turn fillets over, and bake an additional 7 minutes or until fish flakes easily when tested with a fork. Transfer fillets to a serving platter, and top with avocado sauce. Makes 4 servings. Toss the cucumber in a bowl with the salt, sugar, and vinegar. Let stand 5 minutes or so, then fold in the sour cream. Season carefully to taste, and fold in the dill or watercress. Cook fish directly in salted boiling water OR wrap tightly in greased heavy-duty aluminum foil with chopped onion, celery, salt and pepper; place in rapidly boiling water. Cover pan, return to boil, then reduce heat to simmer 5-7 minutes cooking time per cm of thickness (10 minutes per inch) for fresh fish and 10-12 minutes cooking time per cm of thickness (20 minutes per inch) for frozen fish. To poach smoked fillets, cover with cold milk flavored with butter, bay leaf, pepper; simmer. Remove and drain the fillets; arrange on hot plates or a platter. Either decorate with sprigs of fresh dill or parsley and pass the sauce separately, or spoon the cucumber sauce decoratively over the fish. Let the fish remain in its poaching liquid at least 20 minutes, to pick up flavor. Remove, drain, and chill. Serve on a bed of greens, and decorate with the sauce. Sprinkle fish fillets with 1 teaspoon salt, the pepper, and some paprika. In a skillet, cook onion in butter till tender. Stir in flour; cook and stir till brown. Gradually stir in the beer. Cook and stir till the mixture bubbles. Stir in the sugar and cloves. Add fish fillets to sauce. Cover and cook for 10 to 15 minutes over low heat till fish flakes with a fork. Remove fish to a platter. Stir lemon juice into sauce in the skillet. Serve sauce over fish with rice, if desired. Makes 6 servings. Take oil from bacon, put into sauce pan. Sautee onion and green pepper. Set aside. Add hash browns, fry till slightly browned. Add lemon pepper, chili powder, garlic powder, salt and pepper, and fish. paper towels and serve. Ranch dressing makes a great dipping sauce. Place oatmeal in a blender or food processor and process about 60 seconds. Combine oatmeal and next 5 ingredients in a bowl. Season with salt to taste and mix well. Dip fish into batter, coating thoroughly. Fry in 1/2-inch deep oil at 375 degrees about 2 minutes per side or until crisp and golden-brown, turning once. Drain on absorbent paper. Place the flour on a plate. Sprinkle fillets with salt and pepper, then dredge lightly in flour. Melt about 2 tablespoons butter or margarine over medium heat. Fry the fillets until golden-brown on each side and remove to a plate, keeping them warm. If necessary add more butter or margarine to the skillet and add mushrooms and green onions. Cook them for about 3 minutes then stir in the wine and lemon juice. Pour this mixture over the fish and serve. Makes 1 serving. Heat vermouth in large frying pan and cook onions 2 to 3 minutes. Add rest of ingredients except fish. Simmer until tomatoes and peppers are soft, or about 10 minutes. Add fish and simmer until fish flakes. Great low calorie meal! Place fish in a microwave-safe baking dish. In a food processor or blender, combine tomato paste, water, onion, garlic, cumin, chile pepper and chili powder; purée. Spoon purée over fish. Top with olives. Cover and microwave on MEDIUM for 12 to 15 minutes or until fish flakes easily. Serve with lime slices. In small mixing bowl, combine mustard, water, juice, Worcestershire sauce and cayenne. Place coating mix in shallow dish. Dip fish first in mustard mixture and then dredge in coating mix to coat. In 10-inch skillet, heat 1/2 inch oil over medium heat. Add fish. Fry three to four minutes or until golden brown. Turn once. Drain on plate linew with a paper towel. This recipe includes a very simple sauce that enhances sauteed, broiled or baked fish. It can be made in camp if you brought parsley and usually impresses any old "fried fish angler." Make the sauce first. In a bowl set the butter out to soften. Then cream it with a fork and then a spoon until it is light and fluffy. Work in the salt and pepper. Mix the smashed garlic and the lemon juice, then work this liquid into the butter. Take a bit of time to do this. Mix in the parsley and serve in a gravy boat with a spoon. Pan fry the bass remembering to brown the fish on both sides but not to over cook. Serve hot on hot plates and pass the sauce. Makes 4 servings. LIGHT AND LEMONY DILL "BUTTER"
Squeeze juice of 2 lemon wedges over both sides of bass fillets. Let stand 5 minutes. Lightly pat dry with paper toweling. On plate combine flour and paprika. Dip fillets in flour to coat lightly. In large non-stick skillet sprayed with no stick cooking spray, heat oil. Saute fish over medium-high heat for 3 to 4 minutes on each side, or until fish is opaque and just flakes easily with a fork. Salt and pepper to taste. In small bowl, combine all Light And Lemony Dill "Butter" ingredients. Makes about 1/3 cup. Serve 1 to 2 teaspoons over each serving of bass fillets or garnish each serving with remaining lemon wedges, if desired. Makes 4 servings. Cut fish in chunks or fillets. Rinse well, then soak in salted water 30 minutes. Drain & rinse. Pour milk into large, shallow bowl & add fish. In another large, shallow bowl, combine flour, cornmeal, green onions, salt and pequin or cayenne. Dust center edge of each lemon wedge with minced parsley; set lemon wedges aside & add any remaining minced parsley to coating mixture. Melt butter in large, deep, heavy skillet. Dip each piece of fish into coating, being sure to crush coating into fish for maximum flavor. Cook fish until golden on all sides, turning as needed. Drain on paper towels. Serve hot, garnish each serving with a parsley-edged lemon wedge & a parsley sprig. fillets with mixture. Broil fillets 4 inches from heat for 4 minutes. Turn fillets and brush with more butter mixture. Broil for about 5 minutes more or till the fish flakes with a fork. Sprinkle with sesame seed. Makes 4 to 6 servings. Dredge the fillets in a mix of cornmeal, flour, salt and pepper. Sautee slowly in melted butter over medium heat until well browned. Turn; brown the other side. When the fish has turned opaque, remove to a warm platter and garnish with parsley. Stir the vinegar into the fat and crispies, heat and pour over the fish. Mix cornmeal, salt and pepper in plastic bag. Shake to mix. Heat oil in deep cast iron pot (preferably over an outdoor fish cooker). Shake fish in cornmeal mixture and drop into hot oil. Fry until golden brown. Serve. Remove the center bone but do not cut in half or behead. Wash, pat dry, sprinkle with salt and refrigerate 45 min. Preheat oven to 400. To prepare stuffing, melt butter in skillet and when bubbling saute onion, parsley and mushrooms 5 min. Mix in anchovies, breadcrumbs and shrimp or cooked fish. Toss and mix in beaten egg. Rince and dry fish, sprinkle inside with salt, pepper and lemon juice. Lard fish across back with bacon strips. Stuff the fish and truss with skewers or sew shut. Spread a little melted butter in a baking dish, add fish and top with onion slices and parsley. Pour the rest of the butter over the fish and vegetables. Bake 45 min basting frequently with wine or stock. Add sour cream to the pan not on the fish for the last 10 min. When fish is done remove trussing and serve on a heated platter garnished with the vegetables and covered with the sauce.